Just about everyone at Penn State University has heard the urban legend about the Penn State tunnel system. While many know they exist, not many know why they were built, how long they’ve been there, and how far they extend. Some say that the tunnels lead from College Avenue all the way to Beaver Stadium. According to Paul Ruskin, communications and public affairs coordinator for the Office of Physical Plant, “The tunnels are only half the story. What really interests him are the fallout shelters” (Reeser). Looking at the history, they will allow us to develop a plan on how the can be repurposed and used. The Cold War affected many American cultural and social lives. With a nuclear threat lurking, fallout shelters became common among any community in the United States, and Penn State was one of them. In 1961, the entire East Halls network was connected by underground hallways. During the 1960’s these were stocked with in-case-of-attack supplies such as survival crackers, family radiation kits, radios and gas lanterns. The tunnels were never designed to be bomb shelters, but they did offer defense from radiation and allow occupants to prepare for a possible nuclear war. Penn State University Steam Utility Map. Titrurus. Website (http://onwardstate.com/2013/01/23/penn-states-campus-beneath-the-campus/). November 17, 2014. According to Shanetully’s map (PSU steam), a website comprised of past information on the tunnels, there is a tunnel system connecting every building in East Halls. These tunnels have been visited and confirmed as well as tunnels that connect the other halls including Pollock, North, West, and South. The other confirmed tunnel connections are across all the academic buildings. A group known as the Urban Explorers can be thanked for the extensive tunnel map. In a series of website entries on their website (http://www.urbanexplorers.net/utility-tunnels/penn-state-university.html), they thoroughly describe their adventures through the underground system. 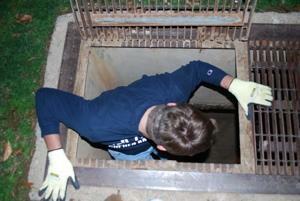 Photo of an Urban Explorer entering the tunnels by an open grate. Dana Reeser. Website (http://www.statecollege.com/news/local-news/penn-state-urban-legends,733094/). November 17, 2014. The group frequently entered the tunnels through grates on the street, and claim they connect to the HUB and other buildings through maintenance rooms. 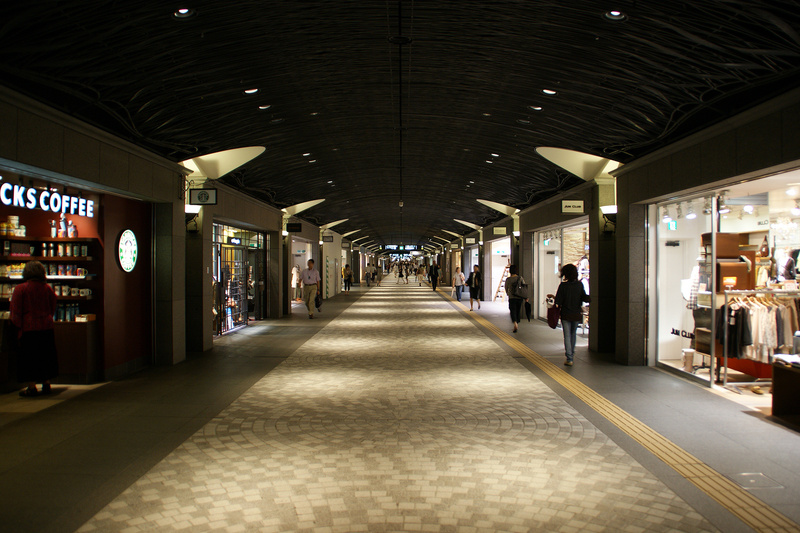 They describe the halls as five by six feet, which stretches for miles (Urban Explorers). The last post was from the year 2000, as the campus became aware of student exploration and increased security. Entering these tunnels is illegal and charges fall under breaking and entering.